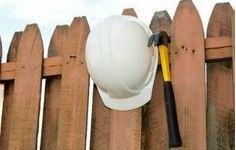 We proudly provide fence installation throughout Spring Hill, including Brooksville, Hernando Beach, Ridge Manor, Hudson and the surrounding areas. We carry all of the necessary insurance coverage and employ all of our own installers. We offer prompt installation and adhere to custom orders and specialty projects. Founded on integrity, we do our best serve the needs of our customers with a wide variety of products, knowledge and service which makes us your number one choice for fencing services in Spring Hill and the surrounding areas. Other Places You Can Find Us On the Web!